For you fans that just can’t get enough of the back-and-forth banter between former light heavyweight champs Quinton “Rampage” Jackson and Rashad Evans, check out last week’s “UFC Primetime: Rampage vs. Evans” show right here on 5thRound.com. The final segment of the three-part series airs tomorrow at 11PM ET/PT on Spike TV. Watch cameras follow Evans as he prepared for his mortal enemy under the tutelage of MMA guru Greg Jackson, while Rampage is caught working with the talented Wolfslair Academy across the pond in England. 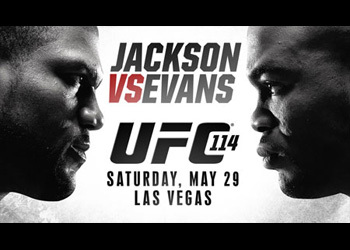 The rivalry comes to a head this Saturday inside the MGM Grand Garden Arena in Las Vegas, Nevada.